Welcome to Crow’s Nest Ministries. We are so glad you are here! 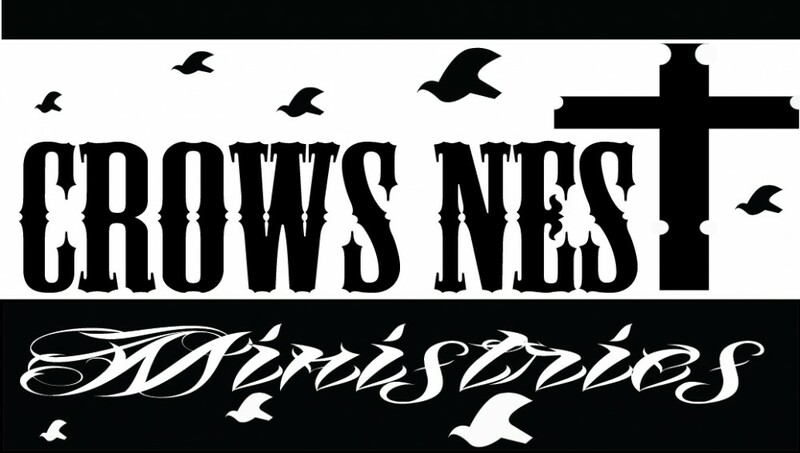 Crow’s Nest Ministries is the vehicle for ministry for my husband Tim, and myself. In navel history, the Crow’s Nest was where the lookout was stationed. It was his job to spot those who went overboard, look out for shipwrecks, warn of enemies, and spot land. If the way was lost, they would release a crow and watch where it flew as they would head for land by the most direct path. This position was not one men would volunteer for; it was dangerous, noisy, and one where you could really feel the boat rocking. But it was a vital and necessary position. Nowadays, modern ships no longer need the crow’s nest as new technology is available to do the job. But the position of someone who looks out for those in need of rescue is still necessary, especially in the church. Too often we miss those who have “fallen overboard” because no one is looking. That has to change. In one of Jesus’ parables, the Sheperd left the 99 sheep to pursue the 1 lost sheep. That is the job of Crow’s Nest Ministries. We can’t look out for everyone, but we can help develop the mind-set that it is our job to do so. Tim Bremer is a locally licensed minister with the Church of the Nazarene. He is also a software engineer during the day. He is the father of three young adult children and husband of Anne. Tim has a heart for reaching the lost, especially those who are in some way ostracized by the world at large. He is a fun-loving man who doesn’t take himself too serious but also an intelligent man who loves to engage in tough conversations. Tim is owned by a little Japanese Chin named Cleo. He is an active presence on this blog and a guest blogger. Anne Lenihan Bremer is a locally licensed minister with the Church of the Nazarene. She has nearly 10 years as a youth minister and three years as a chaplain to at-risk teens. She currently spends her time tending to her family and animals as well as giving animal talks and presentations and participating in animal assisted therapy. Anne is mom to three young adults, wife of Tim, and caregiver to a Great Dane, Saint Bernard, Japanese Chin, and ten birds, of which four are cockatoos. One of those ten is a crow. She spends as much time as she can at Soby Ranch, a ministry that does a tremendous amount of animal therapy. Many of the devotions on this site flow out of the time spent there. Anne is the primary blogger for Crow’s Nest Ministries.